These are the salad days of scientific research on the International Space Station. On Aug. 10, astronauts munched on red romaine lettuce that they grew in space. It was the first time this happened. Three astronauts tasted their lettuce after clicking the leaves like wine glasses. They added a bit of Italian balsamic vinegar and extra-virgin olive oil. Astronaut Kjell Lindgren pronounced it awesome. And Scott Kelly compared the taste to arugula. They talked about how the veggies added color to life in space. If astronauts are to go farther in space, they will need to grow their own food. This was an experiment to test that. Astronauts grew space station lettuce last year but had to ship it back to Earth for testing. They didn't get to taste it. This is very cool. I hope it ends up at kroger. The bigger question is how these people managed to find places to plant these without making it float away. Also, plants need oxygen just like we do, where could you find a plant that could withstand having no oxygen, water, and sunlight? YOU CAN'T GROW VEGETABLES IN SPACE BECAUSE THEY GONE FLOAT AROUND IN THE AIR. It is difficult to grow vegetables in space because your food might float away in outer space and become an space junk. Why is it difficult to grow vegetables in space because it well, flot out of space. Why is it hard to grow plants in space?The answer is there is nowhere for a plant. I think that salad is a great and healthy food for the astronauts in space. It beats all that stuff out the bag that they used to eat. Also it probably relaxes them and they're mind. I mean what could go wrong with salad ecspecially because they have to stay fit. I never knew that you could grow your own salad right there in space. That is really amazing to grow pants in space because I thought that this was impossible before I read this article. I wonder how they planted the seeds in to the soil and how they watered them because wouldn't everything be floating around once you take them out.But most of all I really wonder how the lettuce grown in space taste like. I think that it is amazing for the astronauts to have been able to grow romaine lettuce and then eat it. I believe that this revolution can allow people to survive in space if there is any need in the future. I think that it is cool for the astronauts to have tested this because I thought that it would have been impossible to grow plants in space. The only reason why is because there is no air in space. 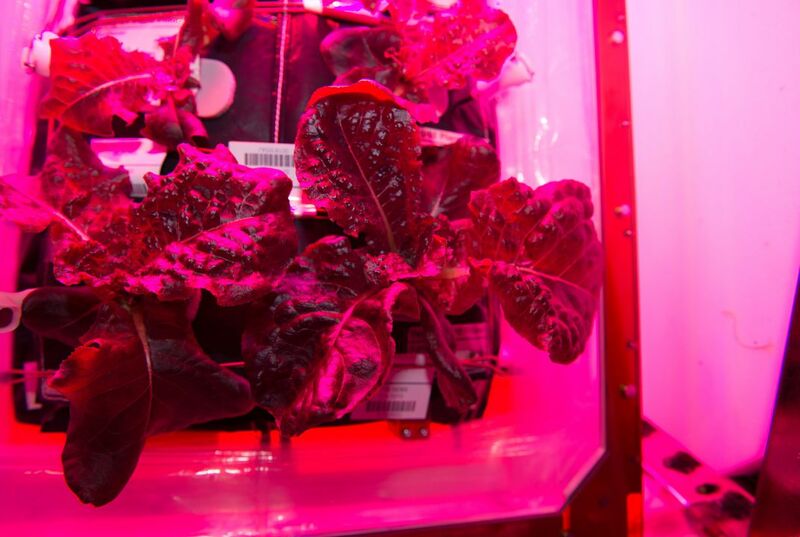 I think that it is really cool for scientists to test out a red-colored lettuce that will be able to grow in space while the astronauts are still inside the International Space Station which the astronauts that first ever tried to be able to grow a red-colored lettuce in space. Scientists are really are getting a lot of ideas that might be very useful for astronauts because scientists had made a plant that is going to grow in space in the International Space Station. 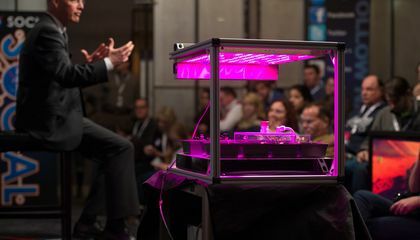 Critical Thinking Question: Why is it difficult to grow vegetables in space? Answer: It is difficult to grow vegetables in space because the plants will float around while it is growing to become food for the astronauts in space.